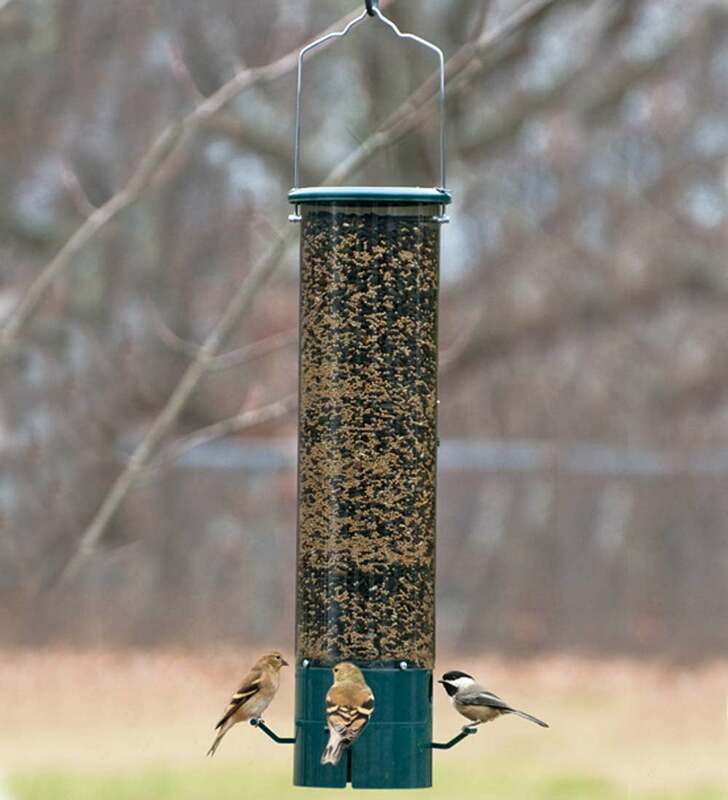 Keep squirrels, chipmunks, pigeons, and more from gobbling up feed meant for your finches with the PestOff Pest Proof Nyjer/Thistle Finch Bird Feeder. Its clever design features spring-loaded perches that lower under the weight of even smaller pests (like baby squirrels and grackles), closing a hatch over the feeding port to block access to the seeds. Once the critter leaves, the port opens again, making it easy for goldfinches, purple finches, pine siskins and more to get to the food. 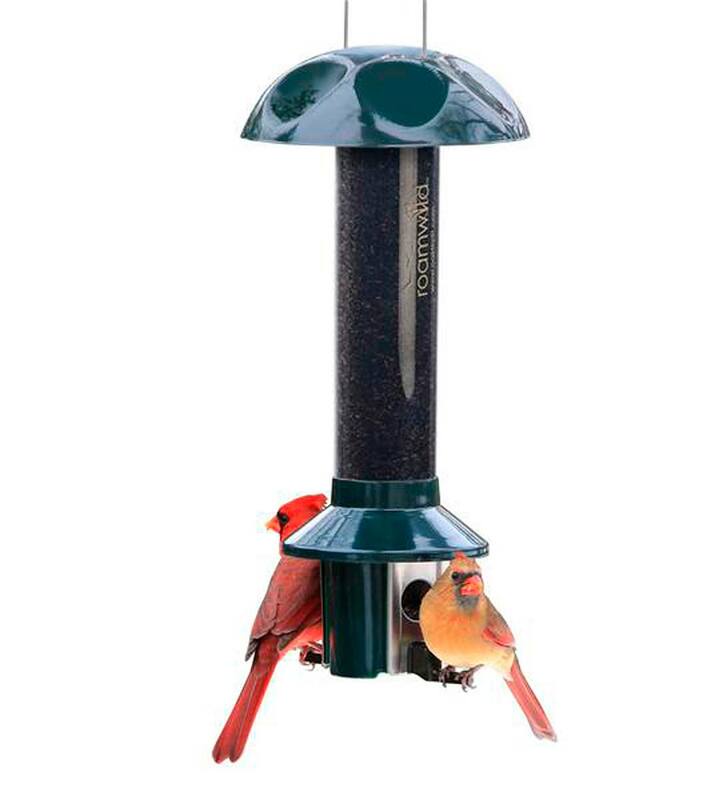 Easy to clean and fill, this feeder includes a weather guard above each feeding port so the seed within stays dry and fresh. Ports allow feed to flow through without clogging. Large, three-pound capacity.